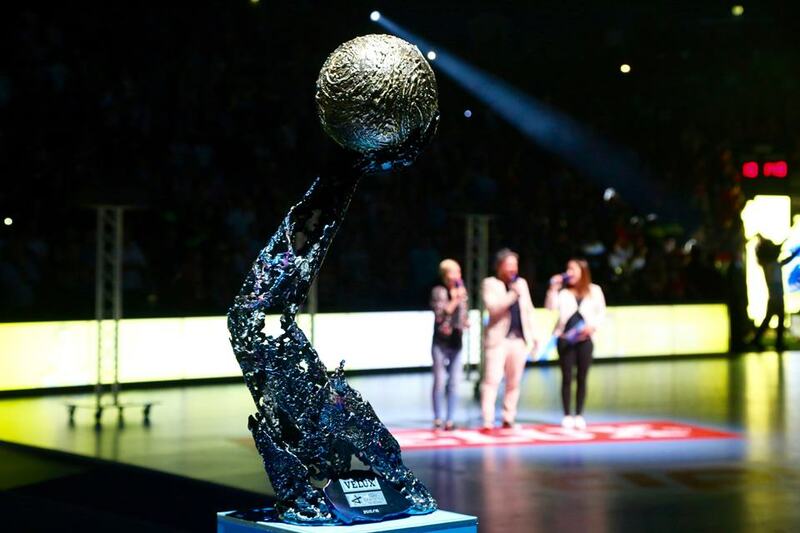 Last week, once again, handball as a sport showed imperfection during facing the problem which all serious global sports already overcome a long time ago – question of EHF Champions League schedule. Let’s remind you, the German champions Rhein Neckar Lowen decided to send their second team to EHF CL TOP 16 match in Kielce on March 24, while the TOP stars will be in Kiel at match of DKB Bundesliga on same day, just two hours later. The European Handball Federation tried to find solution by changing the host right of two matches. Kiel said YES, RNL declined. On the other side, EHF refused an option that Rhein Neckar Lowen played on Sunday (March 25) in Kielce, just 24 hours after clash in Kiel. Match in Kiel would be broadcast by public TV ARD, which is basically only chance that people see handball match on TV, as only PAY-TV Sky has rights for DKB Bundesliga during season. That’s why March 24 is so important. Let’s imagine that something like this happens in modern football or basketball? That March 24 is some kind of paradigms of all problems which handball as a sport facing nowadays or simply trying to hide them. What is older – the chicken or the egg, is not the question in this case. The question is whether European Handball Federation has power and instruments to keep under control all their members, among them Germany? Whether rest of handball Europe has to be a hostage of German handball? It’s not and will never be. Whatever some national Championship is strong and as long as Germans put Huttenberg in front of Wisla Plock or Meshkov Brest, hierarchy must to exist and it has to be clearly emphasized. If whole Europe can adapt, they have too also. “Situation making” for rich teams, for now, isn’t on a right path. EHF Champions League isn’t football or basketball product. Even in this model for “poor and modest”, EHF CL didn’t attract the whole continent. For Germans are non-attractive in terms of finance. They have problems to sold-out halls, while on the other side – EHF prize money for a placement is not enough and covering some certain costs. For Balkan countries, Serbs, Bosnians, Montenegrins, but also Greeks, Italians, Czechs, Austrians, Baltic people, it is only expensive adventure. Words of EHF president Michael Wiederer that EHF CL means “standards which teams and countries have to meet” are not enough. Question is why EHF didn’t find a way to make TOP product even more attractive for those – dozens of countries. Another side of a medal is that EHF CL match hasn’t been seen in Madrid, Moscow, Prague, Rome, Belgrade, Amsterdam, Kiev, Oslo, Athens, Vienna – never or for many years. How then you can expect “a lot of money” in handball? More money for teams, better setup, higher level of organization, that’s all we have to see since 2020 in League with 12 teams. We will lose because 70% of Europe won’t be directly included in that project. If that is a price for level up, then, Germans have to pay it also, not only rest of Europe. If they don’t want, EHF has to show who is the boss. Vienna has to show capability for that. Situation with Rhein Neckar Lowen, unfortunately, showing us that it will be a long time since we will have Coca-Cola and Mercedes Benz on “Gerflor” across Europe instead of windows and cheap jeans. However, at the moment when EHF narrows space for clubs, chances for national teams becoming much more visible and realistic. Regardless, EHF EURO events with 16 teams look perfect with great quality (almost perfect event) and big competition among a lot of nations, a decision to make in with 24 NT since 2020 is the right one in terms of wider representation on the continent. Chance has to get Romania, Turkey, Israel and all others, who invest in handball, but popularity is limited as long as kids have no chance to watch national teams on big events. Quality won’t fall rapidly, but handball will get on popularity because eight new countries will be directly involved. Parallel with changes in their system, I hope that someone from Vienna can make a call to Basel and say “Guys, we need to change some rules”. Moreover, I hope that some already did it since January. Day after an epic match at Zagreb Arena between Germany and Slovenia, 10 minutes of black hole and everything that happened after it, we thought in the same way, all of us. Michael Wiederer also pointed out in interview for EHF EURO 2018 website some important things. Also, Nikola Karabatic, as the iconic guy for our sport and the biggest handball brand nowadays stated for HP that “he wouldn’t like that his son wants to play handball – the sport which could become non-Olympic if we don’t get new rules”. Everything is clear – absolutely. If we are all on the same side – side of handball, those who think that referees are “executors of others’ ideas” and others who think that they are “victims of unclear rules”, then, let’s work on changes!? How comes that technology brought progress to all sports, to the whole humanity, and only brings confusion to handball? However, that kind of decisions is in hands of Bazel (IHF), not Vienna. The International Handball Federation is responsible for rules. IHF president Hassan Moustafa will tell you “What? We don’t want to copy basketball”. Basketball is light-year ahead of handball in terms of rules. Every kid in Sydney or Belgrade knows for “flopping”. Awareness is necessary for changes. It is clear that Moustafa will lead world’s handball supported by votes of El Salvador and Brunei, but at least, you should battle for things to change. Until then, situation with Germans must be clear. We don’t want to wait spring 2020, to solve “eternal question” – Huttenberg or Wisla?